This guide will show you how and where to upload bulk files. The process is roughly the same for every type of action. The example used here will be a bulk edit file. and choose the file you d like to upload 4. If you want to skip a channel for the entire spreadsheet - you can do that here. If any of these boxes are checked, we will not send any information to those channels - however, the information in SureDone will still be overwritten. The second header in the file is not one of the required identifiers. Resolution: Make sure that the first header in your file is "action" and the second is either "guid", "sku", or "id". For more help on these check the guide on Setting Up Your Bulk File. 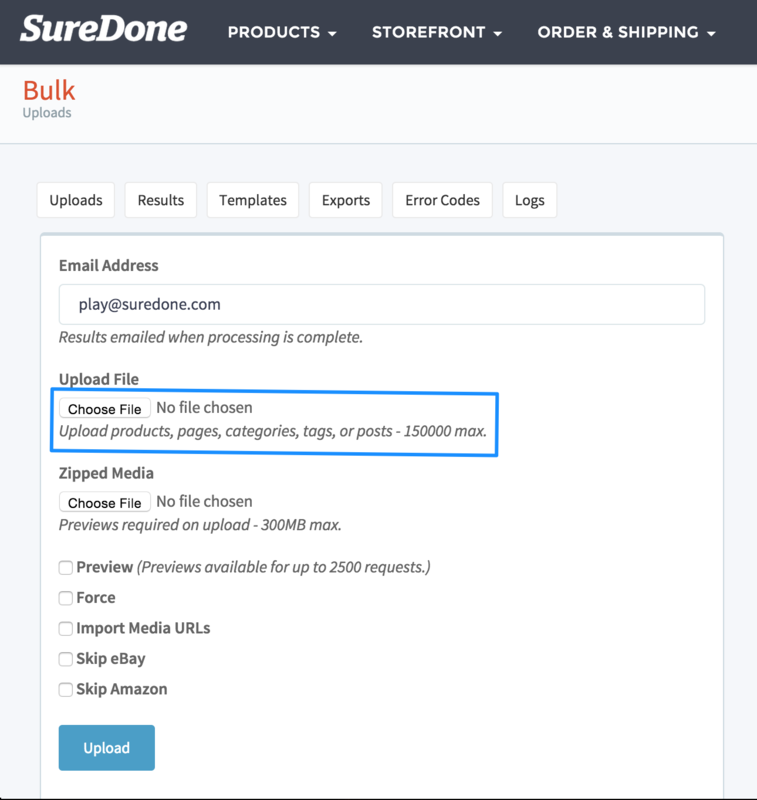 Now that you've learned how to upload make edits & upload files to SureDone's bulk uploader, now you should learn how to check your bulk results to make sure your files process error free. 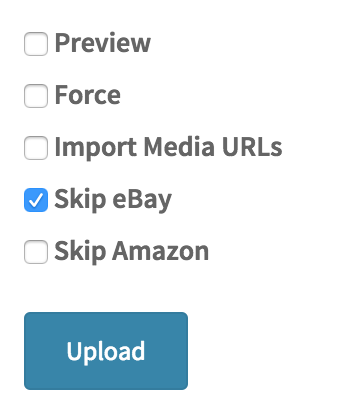 Click here to read the next guide on Checking Bulk Upload Results.